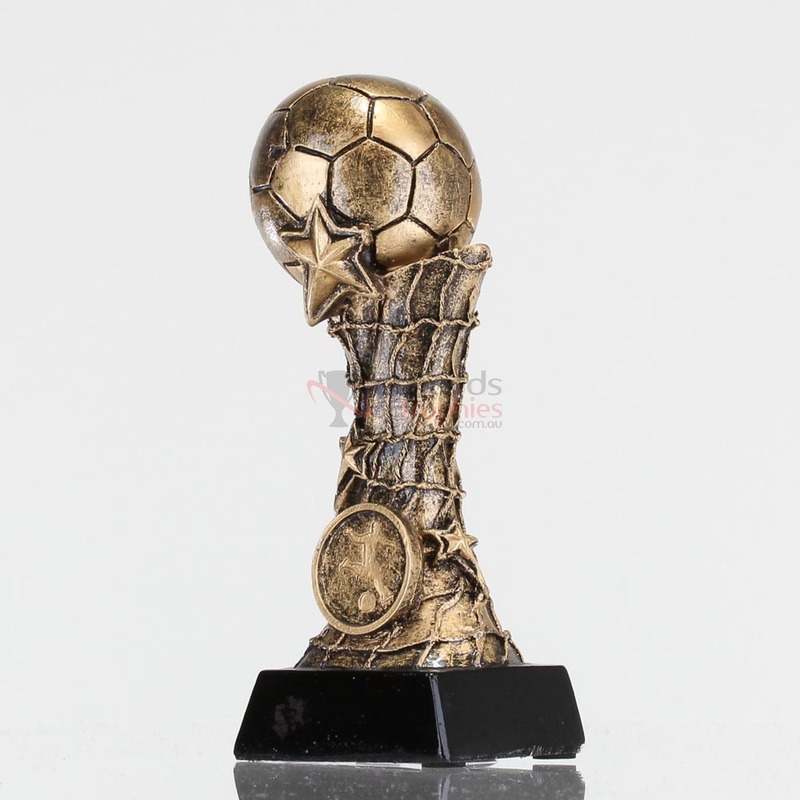 Give praise to your soccer stars by presenting them this great soccer resin trophy. 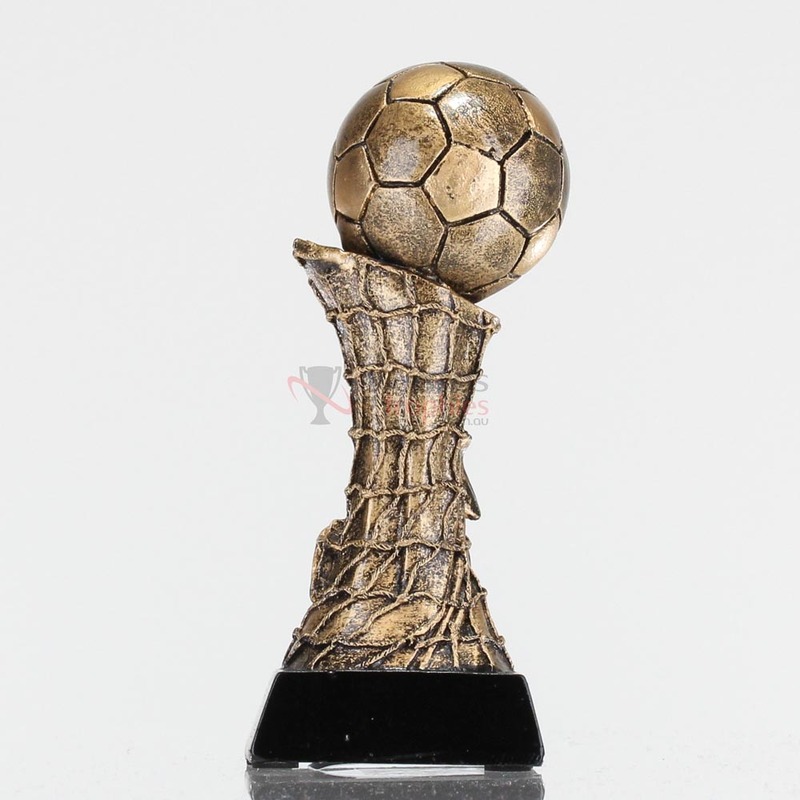 Featuring an antique gold soccer ball atop a vivid soccer net, this award is sure to bring a smile to all faces at your end of season event. 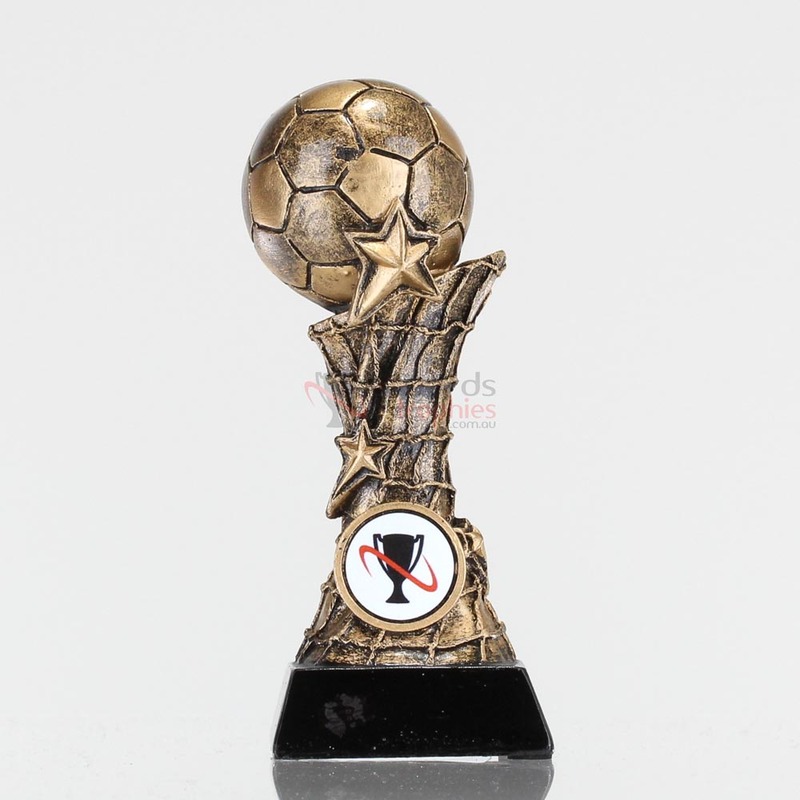 Consider giving this trophy to every player on your squad as it makes a great participation trophy!